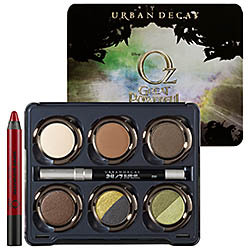 Urban Decay has created two gorgeous limited-edition palettes inspired by the Disney movie “Oz the Great and Powerful." I just got an email for early ordering of these sets. How did Sephora know I just happen to be OBSESSED with anything Wizard of Oz?! Of course...I had to order both. How could I choose?! Both sets come with 8 unique eyeshadows, an eyeliner, and a high-shine lip color. The Theodora has the gorgeous smokey browns, golds, and olives that I die for!! The Glinda has silvery blues, purply pinks and golds...it's just too much to handle! I believe they are already available on the Urban Decay website - I just like to rack up my Beauty Insider points with Sephora. Full review with pics & swatches to come!! 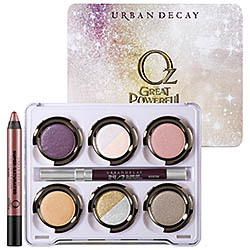 Click here to order your Glinda palette or here for the Theodora palette. Wedding season is approaching FAST! Just a few months away for some people. Unlike most brides, I barely thought about the decor - my #1 concern was WHAT MAKEUP SCHEME WILL I GO WITH?! Silly to some people, but for fellow beautyholics - this is major! I stressed about what moisturizer to wear, which foundation to go with, the lips, the eyes, and everything in between! After much research, Pinteresting, and trial and error I finally had a game plan. I've had so many people ask what products I used - so here it is!! A lonnnnng list of all of the products I used for my wedding almost a year and a half ago now! Time flies! OMG that was a LONG list!!! 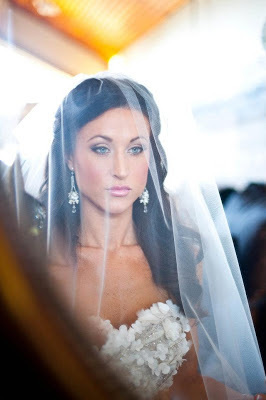 It takes a lot more makeup than you think to look great in your wedding pictures. Needless to say this was very time consuming, but I was beyond pleased with the results. With flu season upon us let's not forget about sanitizing our makeup. These handy wipes can disinfect your lipsticks, lip gloss, cosmetic pencils, and just about anything that has a surface! Keep some in your purse, your car, or your makeup bag! I also have 2 sprays by Beauty So Clean - one for my brushes and one for my pressed powders, eye shadows, cream foundations, etc. If you are a germaphobe like me go buy these...like yesterday!! I use them every single day and the sprays last FOREVER!